Bronze quarter follis, 18mm, 2.18gm, issued AD 305/306. Siscia mint. Obv: IMP C CONSTANTIVS PF AVG, Laureate head facing right. Rev: GENIO POPVLI ROMANI (SIS in ex. 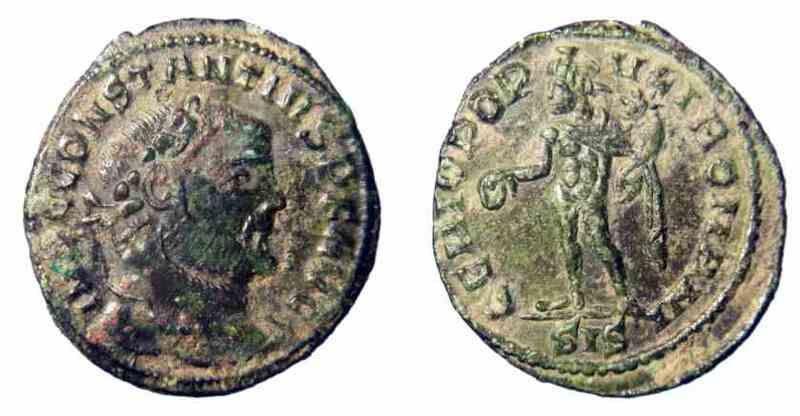 ), Genius standing left holding patera and cornucopiae. References: Sear 14192, RIC 167.